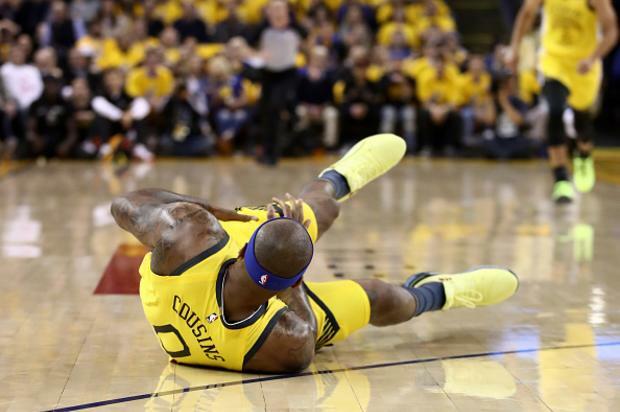 The Golden State Warriors reportedly fear that All Star center DeMarcus Cousins suffered a torn left quad on Monday night, although they won’t be 100% sure until an MRI examination on Tuesday, according to ESPN. Cousins fell to the floor while tracking down a loose ball just minutes into the first quarter and immediately called to be taken out of the game. The Warriors went on to lose Game 2 to the Clippers by the final of 135-131, after blowing a 31-point lead. Game 3, taking place at Staples Center in L.A., is scheduled for this Thursday at 10:30pm ET.